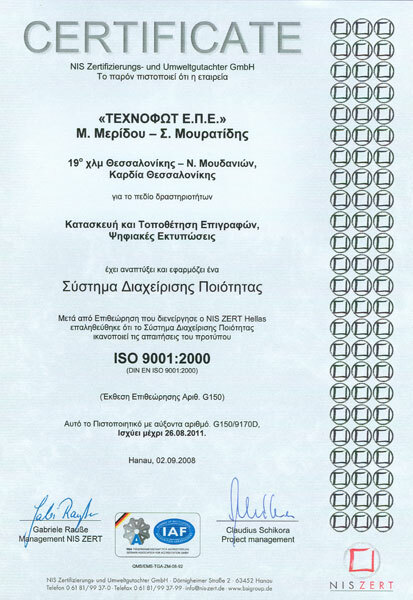 Technofot Ltd received ISO 9001:2000 certification in August 2008. Services of high quality, innovation and technology that Technofot offers to its customers were recognized. 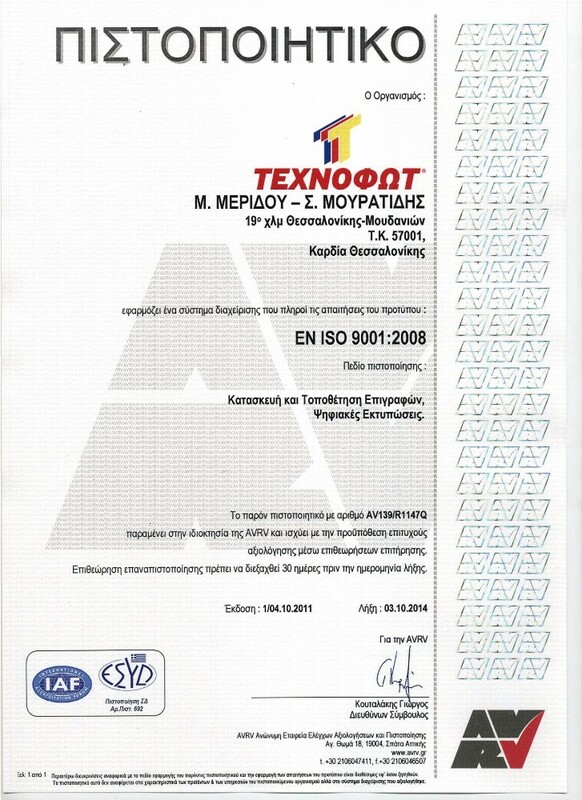 In October of 2011 the company was certified with ISO 9001:2008 by which Technofot’s orientation to provide services of high quality becomes evident. The current certification ensures that Technofot Ltd applies an effective Quality Management System. 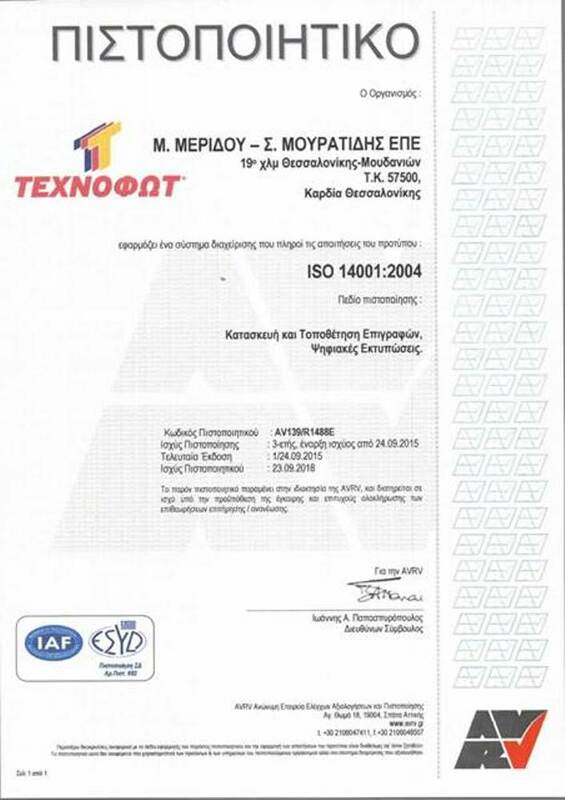 The certification proves that the operations of the business satisfy the quality standards defined by the International Organization for Standardization (ISO). The foundation systems offered through ISO certification include guarantees concerning the satisfaction of customers, leadership, people participation, procedures approach, systems approach, constant improvement, and decision making based on facts and the mutually beneficial service offering relations. The aim is to increase customer satisfaction through the constant improvement of the business operations. 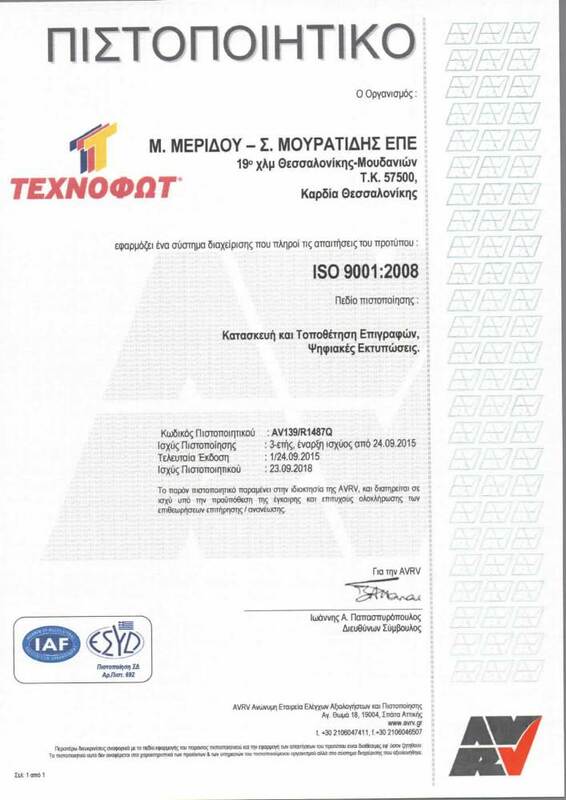 Technofot, affirming its commitment to continuing to provide customers with high quality products and services, fully in line with the legal and regulatory requirements of both environmental responsibility and safety and health of its employees, in November 2014 proceeded to the adoption of a Single Management System (ENSD). 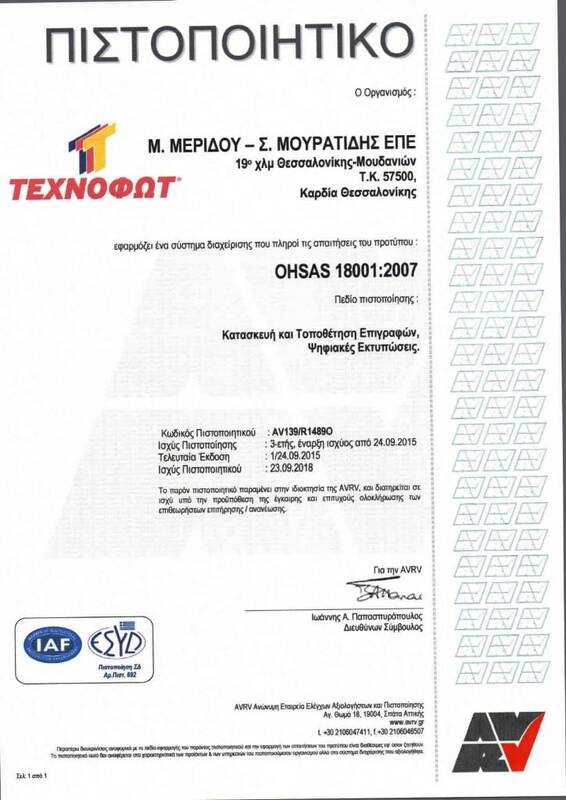 Into their constituent, Technofot has integrated the existing quality system ISO 2001: 2008 with the Environmental Safety Management System ISO 14 001:2004 and Health & Safety System OHSAS 18001:2007 and has been certified on September 2015.